Hollywood mainstay Dragonfly is an often loved, and often loathed, hole-in-the-wall live music venue. What’s loathsome are the unkempt bathrooms, but what’s loved is this spot’s creativity when it comes to booking colorful live acts. 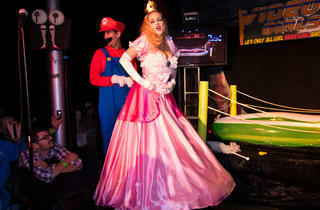 Enter Vixens: a Jell-O wrestling & burlesque show, produced by Devil’s Playground, with a healthy tongue-in-cheek attitude. What’s better than watching beautiful dancers slog it out in America’s favorite dessert while ripping each other’s clothes off? Not much. Devil’s Playground produces a new themed show, complete with costumes and music, about every six weeks, so the show name changes often. 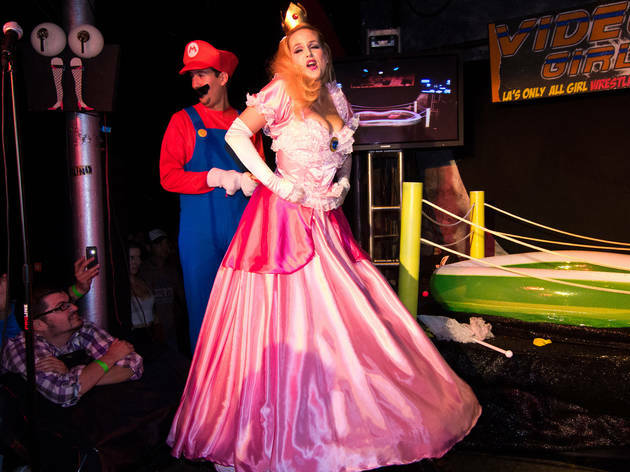 Past shows included titles like VideoGame Vixens and ComicBook Vixens. There was even a StarWarsVixens—where participants dressed up like Leia and Darth Vader and got down and dirty on-stage. Shows run about every six weeks, usually on a Friday. Opening times are 9pm- 2am, but the shows usually start around 11pm. Tickets are $15 in advance online (though, there’s a limited number available) and $20 at the door. Check the website for upcoming dates.